Essential continues its stellar record of transparency with yet another installment of monthly AMA over on its subreddit. 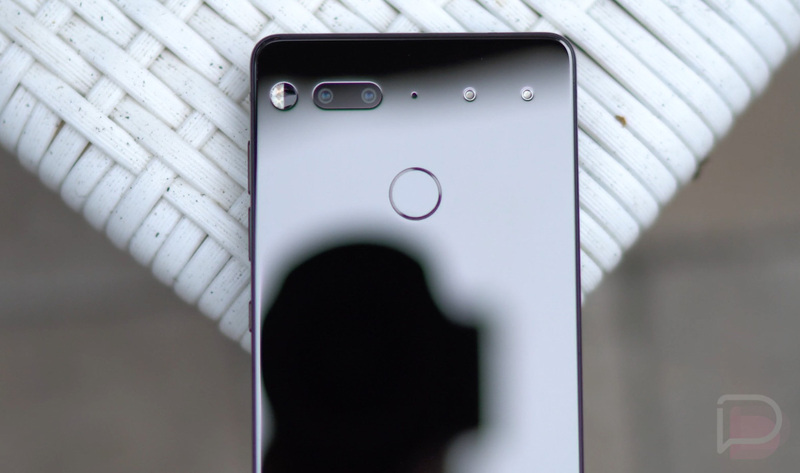 This month, folks are still being impatient over the launch of Essential’s DAC (Audio Adapter HD), people want to know how Essential is so quick with the software updates, and there is also plenty of curiosity around whether or not owners can expect new features for the camera and software in general. What we do with these posts is try to summarize the AMA into a few of the bigger topics answered by the Essential team. Honestly, the biggest piece of info from this month’s entry is that Essential has thought about a trade-in program for a potential followup device, which Kellen has already wrote about. Hypebeasts will hypebeast. Here’s the juicy stuff, but if you’d like to see the AMA in its entirety, look here. Do you have an update for us on the DAC accessory? If you guys introduce a new device, do you think you would open a trade-in program for PH-1s? Thanks for the suggestion! It’s something we’ve definitely discussed. Can you tell us about how your software team managed to launch Pie the same day as Google released it for the Pixels? First off Google does a staged rollout of all of their software and app updates. That should explain why you received your update before your friend. Normally we will receive final code updates 2-3 weeks before we can push an OTA. We have an incredible engineering team who is able to implement those patches quickly and will normally have 2 weeks to test out the build. We’ll push it out to our internal employees and have them live on the build before we’re comfortable pushing it out to all of you. Are you bringing back notch settings in this security release? We sure are! It’s in for our October security patch release and we’ll be working to get it out to you as quickly as possible. Android Pie supports dual camera streams. Does this mean sometime we will get it in the Essential [camera] app? Android Pie is fairly new and we feel that it will have at least one maintenance release. We want to see how that shakes out. Meanwhile, we do not have any immediate plans to leverage Multi-Camera API Support in Android Pie. Any chance we can get portrait mode using monochrome? Portrait mode requires the use of both the RGB and Mono camera to create a shallow depth of field. So really this is more a question of how we would apply the filter to just the monochrome image in post processing. Theoretically possible but would take some deep work that I don’t think we have the cycles for right now. Work around would be to apply a B/W filter to your portrait shot. That’s what I’ve been doing. Are there plans to fix the well-known scrolling smoothness problem? We have exhausted what we can do programmatically to tune in Software given the touch panel HW limitations BUT we have added an option in developer options (developer options/Touch Sensitivity) under Input settings that allows you to control the sensitivity. I recommend playing around with the slider in there and see if there is settings that works well for your liking. We did this in hopes our users could find their sweet spot. When will we get Digital Wellbeing? This is currently still only available to Pixel users in their beta. Unfortunately I’m unsure if this will be opened up to non Pixel phones. Are you going to upgrade the linux kernel inside the OS from 4.4 to the latest linux kernel? We are always striving to be up to date on LTS patches, but we probably won’t do a new kernel version unless its part of a major OS upgrade (ie P->Q). How long is this phone supported? We’ll provide platform updates for 2 years (until August 2019) and security updates for 3 years (until August 2020). Can you add a panorama mode to the camera app? Our goal continues to be to improve the Essential Camera app through periodic app updates. Top crashes, performance improvements, security fixes and high impact bugs will be on top of our to-do list. Select feature updates could likely make their way into these updates. At this time we have no few features planned for immediate release.